Aside from the fact that it’s been priced pretty low even for a mid-range smartphone, Huawei Honor 4X is equipped with one of the newest chipsets from Qualcomm. Qualcomm recently launched two 64-bit chipsets, the Snapdragon 410 and 615, which are meant to arm mid-range Android smartphones. Some have already been launched on the market, while a few others have been announced and should hit shelves by the end of the month. 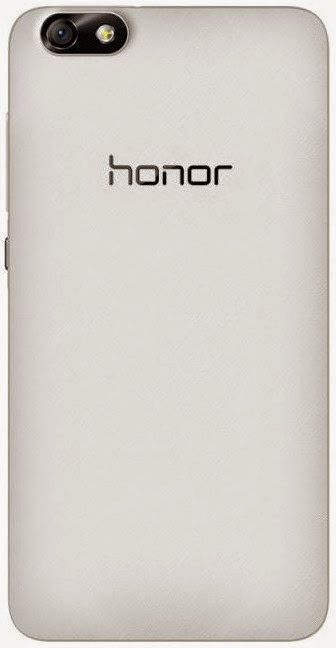 Huawei Honor 4X is equipped with Qualcomm’s Snapdragon 410 chipset, which accommodates a 1.2GHz quad-core processor inside, along with an Adreno 306 graphics processing unit. The smartphone also packs no less than 2GB of RAM, but only 8GB of internal memory. Luckily, users can further expand storage up to 64 GB via microSD card slot. Although Huawei confirmed the Honor 4X would ship with Android 4.4 KitKat operating system with Emotion UI 3.0 on top, the press renders show the smartphone features Lollipop’s icons. It remains to be seen whether Huawei Honor 4X will be launched to Android 5.0 Lollipop out of the box or it will get it later as an update. Speaking of launch, the Honor 4X is now available for pre-order in China for only 1300 yuan outright, which is about $210 or €165. This makes it a great deal considering its more than decent specs. Moving on to camera, the phone boasts an impressive 13-megapixel photo snapper on the back, which features autofocus, LED flash BSI sensor, f/2.0 aperture and full HD (1080p) video recording. But there’s more to it, as Huawei also included a no less impressive 5-megapixel camera, which should be perfect for taking selfies and video calls. Connectivity-wise, Huawei Honor 4X comes packed with LTE, 3G HSPA+, Wi-Fi, Bluetooth 4.0 and GPS with A-GPS support. Here are some details for those who would like to know how big the smartphone is: 152.9 x 77.2 x 8.65mm. 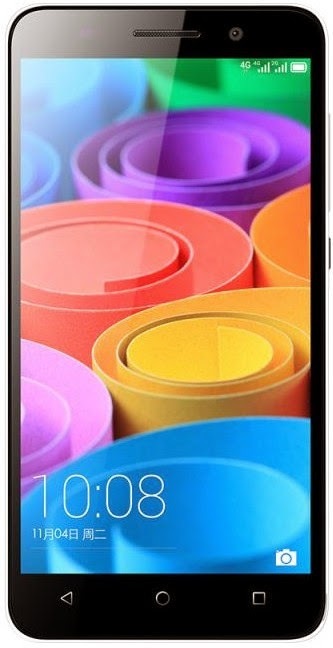 It is also worth mentioning the Honor 4X weighs 165g (battery included). Last but not least, Huawei’s mid-range Android smartphone is powered by a high-capacity 3,000 mAh battery, which is rated for no less than 72 hours of continuous usage. Huawei Honor 4X will go on sale in China on November 6, but it’s unclear whether or not the Chinese handset maker will bring it to other markets anytime soon.